New Alberta government regulations give all health professionals, including Licensed Practical Nurses, additional responsibilities regarding immunizations in order to better protect the public. The new Immunization Regulation will be implemented in two stages, the first on December 17, 2018 and the second on January 1, 2021. 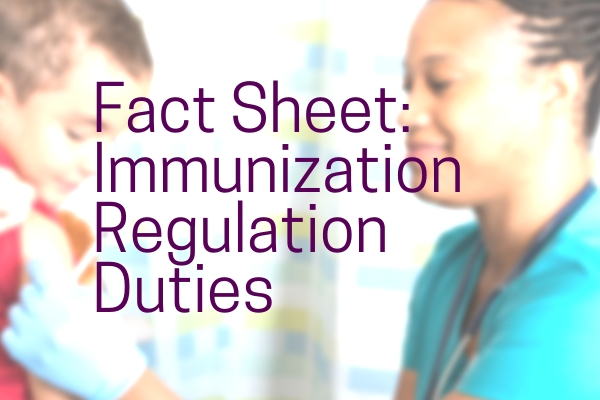 To guide LPNs in these new expectations on their professional practice, the College of Licensed Practical Nurses has written a Fact Sheet on Immunization Regulation Duties that it asks LPNs to review. The CLPNA’s members will also be notified of their responsibilities from the Registrar by email. 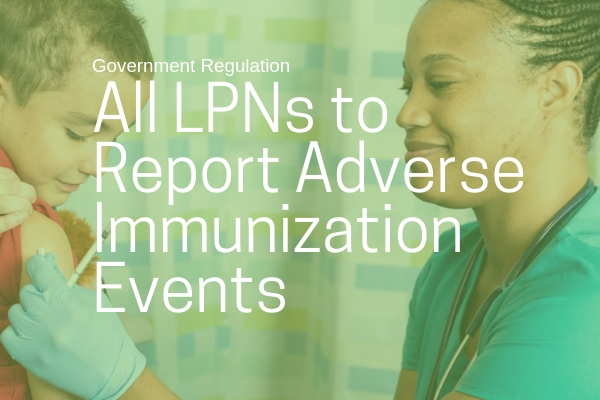 All LPNs are required to report adverse events following immunization whether or not the individual LPN administered the vaccine. LPNs who administer vaccines must follow the requirements related to storing, handling, and transporting of vaccines as outlined in the Immunization Regulation. LPNs providing public funded vaccines (i.e. employed with Alberta Health Services) must also follow parameters outlined in the Alberta Vaccine Cold Chain Policy. If an LPN recommends an immunization but does not receive consent, or the LPN determines that the immunization is contraindicated, an assessment report must be submitted electronically to the Chief Medical Officer of Health no later than 7 days after the assessment. An LPN who administers a vaccine will be required to report the immunization electronically to Alberta Health: Chief Medical Officer (CMO) no later than 7 days after the immunization. An LPN who receives a written record about past unreported immunization shall ensure that a report about the unreported immunization is submitted to the CMO. Immunization is a restricted activity in Alberta, meaning LPNs need to complete specialized education and have authorization on their CLPNA practice permit in order to immunize. For further info, see LPN Specializations. Questions? Contact the CLPNA’s Practice Consultants at practice@clpna.com, 780-484-8886 or 1-800-661-5877 (toll free in Alberta). I am not adminstering immunization so does this still means i need to report ? Can I give a friend the Shingles vaccine without completing the immunization course ? Administering immunizations is still a specialty area of practice. LPNs still need to successfully complete the immunization course from Bow Valley College and submit their certificate to the Registrar at CLPNA for approval to practice in this area. They must have the specialty listed on their license in order to administer any vaccinations or immunizations. Page 6 of the document section 13 (4) speaks to this. Here is the link to the competencies specific to Immunization for the LPN as articulated by CLPNA. If I took the immunization and intradermal courses through you, do I need to take additional courses to administer immunizations? If you have already successfully completed the Immunization Certificate course and submitted proof to the CLPNA, you will see the Immunization Specialization printed on your CLPNA Practice Permit showing your authorization to immunize. Where am I supposed to report this to?